The mid-nineties were a fertile period for the vampire movie. Big-name stars such as Tom Cruise and Eddie Murphy flocked to genre, as did high-caliber filmmakers like Francis Ford Coppola, veterans Wes Craven and John Landis, independents Michael Almereyda and Jeffrey Arsenault, and up-and-comers Quentin Tarantino and Guillermo del Toro. Amid the fangs and crucifixes, Abel Ferrara reunited with his King of New York star Christopher Walken for The Addiction, a distinctly personal take on creatures of the night. Philosophy student Kathleen (Lili Taylor, The Conjuring) is dragged into an alleyway on her way home from class by Casanova (Annabella Sciorra, The Hand That Rocks the Cradle) and bitten on the neck. She quickly falls ill but realises this isn't any ordinary disease when she develops an aversion to daylight and a thirst for human blood... Having made a big-budget foray into science fiction two years earlier with Body Snatchers, Ferrara's approach to the vampire movie is in a lower key. Shot on the streets of New York, like so many of his major works - including The Driller Killer, Ms. 45 and Bad Lieutenant¬ ¬- and beautifully filmed in black and white, The Addiction sees the filmmaker on his own terms and at his very best: raw, shocking, intense, intelligent, masterful. An often arresting and at times disturbing film, one that has real power at its center courtesy of a beautifully modulated performance by Lili Taylor. Arrow has provided a release with top notch technical merits and some very enjoyable supplements. Highly recommended. 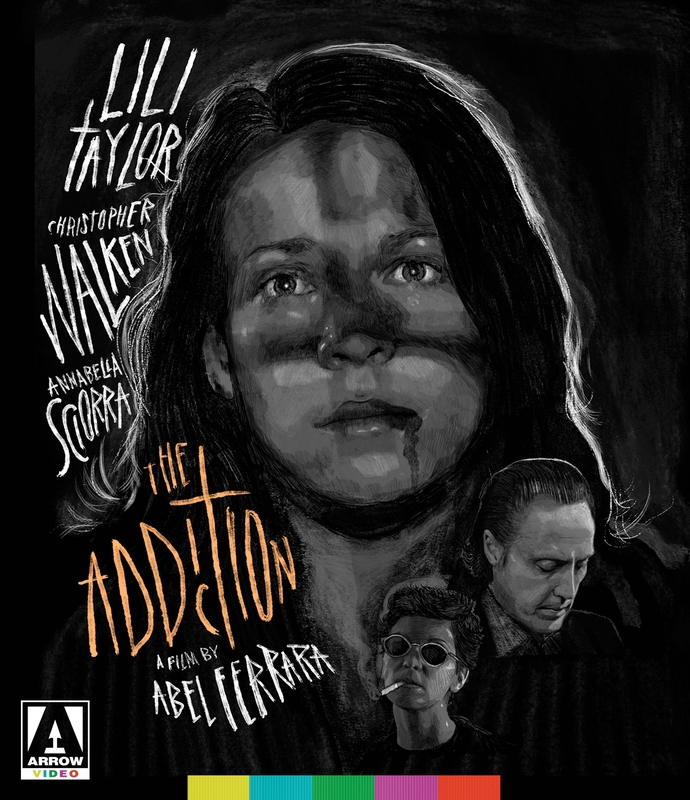 Arrow Video offers a miraculously gorgeous restoration of Abel Ferrara's grubby and neurotic work of lo-fi horror expressionism. A crisp visual seduction... The Addiction holds up because it's not a paint by numbers vampire flick. One of Ferrara's most visually arresting films... This is an excellent Blu-ray that remains in line with the quality and care Arrow puts into nearly all of their releases.